In the last few years, I’ve attempted on many occasions to have a crack at enlightenment and gain more understanding of Samsara and despite the loving support of the well revered monk, Sherab (resident monk at the Compassion Centre in South Gosforth), I’ve not yet attained said enlightenment, and may well die trying… but that’s OK! It’s my karma you see. 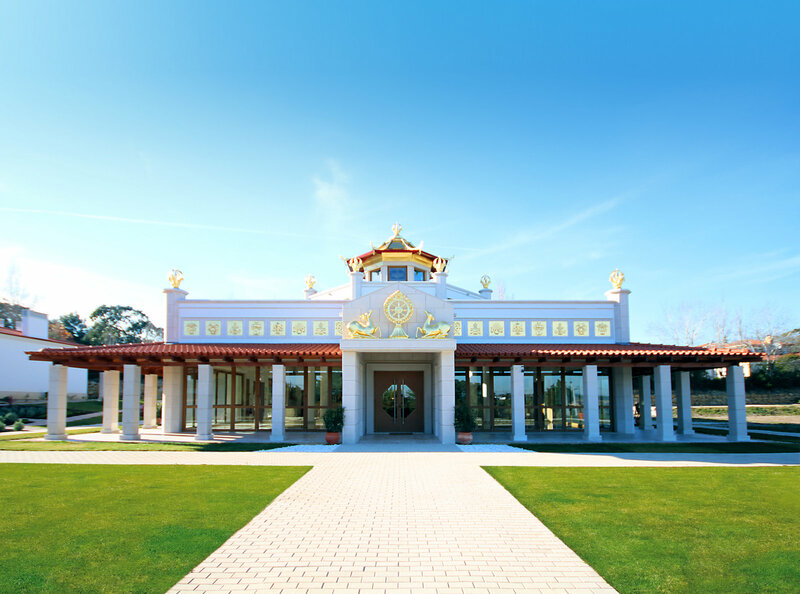 The Compassion Centre offers casual drop-in meditations, lessons in Buddhism, and a fuller, more committed Foundation Programme, for those of us who seek at least to gain a better understanding of a lovely, yet complex, subject. One would think (in the words of The Beatles) ‘All You Need Is Love’, and a bit of compassion, for all sentient beings to make some huge headway towards being a better person and maybe, just maybe, gain enlightenment. And yet the more classes I attend, the more I realise that it’s not all that simple. 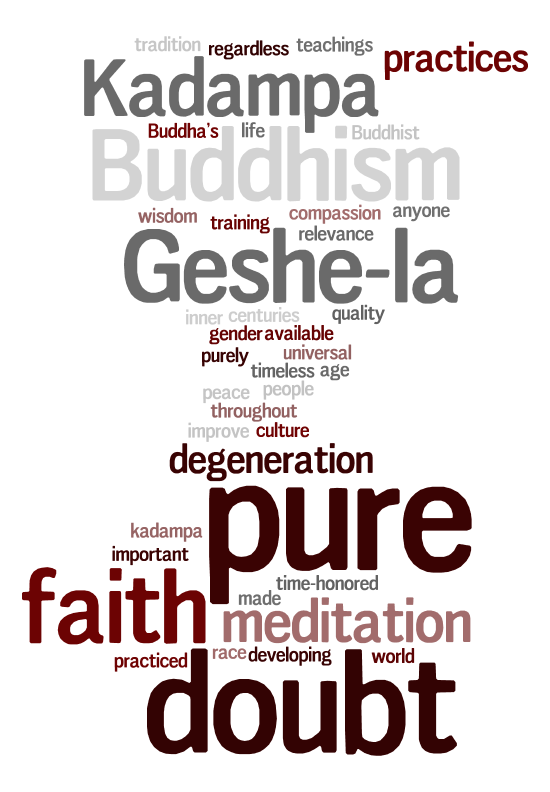 “Is it a religion or a philosophy?” an oft-asked question regarding Buddhism. Having done some intensive searching on Google, I’ve found that many people argue both points. For me, it doesn’t matter, I was brought up in a Roman Catholic faith which just didn’t gel for me. However, I always felt there was something spiritual I wanted to delve into, and I’ve found that whatever Buddhism offers, it fits my curiosity, and has enough intrigue and wonder for me to want to discover more. Meditation at the centre provides a beautiful space for slowing down one’s thought processes, and bringing calmness for a little while. Being guided into meditation by a robed monk, and doing this in a room full of other people wanting a bit of peace in their daily lives, is something I think everyone should try at least once in their life-time, if not this one, hopefully the next. Earlier in the year, in order to gain a little more of a Buddhist perspective, and to get some proper peace and quiet, I drove up to Loch Lomond and caught a little ferry across to Inchmurrin Island. This was to attend a Buddhist weekend retreat. The experience was incredibly memorable. I was among 20 attendees, and we were greeted by the monk, Zamling, who resides at the Glasgow Compassion Centre. After a little talk and a meditation, we all sat down to dinner and discussion. We were informed that this retreat was part-silent from 9pm at night, to 1pm the following day, and so on until the end of the retreat. As a part-time introvert, the thought of not having to make idle conversation with strangers for a few hours was a huge joy to me, however, I noticed on the faces of the more exuberant extroverts in the group, a look of mild panic. I could imagine that they felt incapable of not talking, however, to their credit they managed it. Walking on the island before breakfast, and not having to make eye contact nor idle chit-chat, was a beautiful, and peaceful way to start the day. Having breakfast with 19 others and eating mindfully was wonderful. The classes and meditations were enjoyable, and brought about such a profound peace and calm I’d never experienced before. At lunch-time we could all talk to each other yet, because of the previous hours of silence, everyone spoke in much more hushed tones. That’s a huge achievement considering most of the attendees were from the vibrant city of Glasgow, and had massive personalities/loud voices when I first met them. This was just a weekend retreat, and was over by mid-Sunday afternoon. After a silent morning, and not so noisy final lunch, it was with some sadness I checked out and got back on the ferry. I collected my car and escaped for a few more days of peace and tranquillity in the Highlands for a lone mini walking adventure. I was looking forward to the rest of my holiday, but I knew it would be hard to leave that little community of wonderful people who I’d never have met in one place had I not discovered Buddhism. For me, Buddhism is my oasis of calm, in a life where I often attempt to avoid hearing the news about which politician is displaying the very latest in gross stupidity (such as trying nuke us all to obliteration.) I know it’s not for everyone, but it would please me immensely if more people turned off their tellies and meditated for at least 10 minutes every day. Better still, if more people looked towards some sort of spiritual solace, in whatever form floats their boat. I hope you found a small amount of peace in my ramblings, and perhaps will be encouraged to do some further reading, or go the whole hog and dive head first into the world of Buddhism.